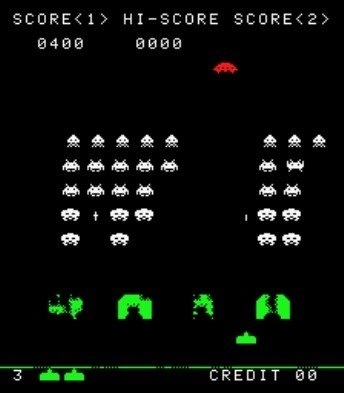 Warner Bros. is attempting to acquire the rights to make a film based on Taito's Space Invaders. Hollywood has tired of making bad Uwe Boll films using the intellectual property from current videogames and are keen on destroying nostalgia completely by making movies based on 80s arcade games. Deals are apparently in place for films to be made based on Missile Command and Asteroids, at Fox and Universal respectively. And now, according to the L.A. Times, Warner Bros. wants to make a film based on Space Invaders. If Warner Bros. is successful in acquiring the rights from Taito, they already have a producing team in place: Mark Gordon, Jason Blum and Guymon Casady. Those three names have the right mix of film credits, having worked on Saving Private Ryan, The Day After Tomorrow and Paranormal Activity. It's unclear what the story would be for a film based on Space Invaders. Technically, any number of movies could fit the bill already such as Independence Day or Mars Attacks. As long as it has a turret that shoots things, and a field of slow-moving aliens attacking in coordinated rows and columns then I'll be happy.